This class is designed to entice new buyers and set the stage for new owners. 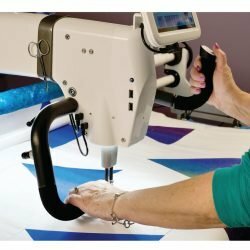 quilting machines. User-friendly and simple to operate, the step-by-step process for each function is easy and fun. accomplish with a Pro-Stitcher. New owners – start here!